First to Address the United Nations About CBD - Medical Marijuana, Inc. In 2017, Medical Marijuana, Inc. subsidiary HempMeds® Mexico became the first company to address the United Nations and the World Health Organization (WHO) about CBD. 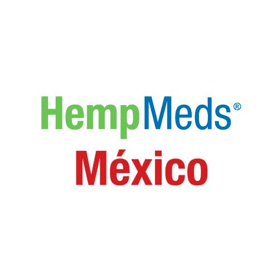 HempMeds® Mexico President Raul Elizalde was invited to speak at the Thirty-Ninth meeting of the Expert Committee on Drug Dependence, a five-day event in November 2017 set for the thirteen-member Expert Committee on Drug Dependence (ECDD) to explore changes to the international scheduling of 16 different substances, including cannabidiol (CBD). The day was monumental for CBD, as the decision by the special committee following the hearing of testimony would significantly influence CBD’s legality around the world and potentially impact the health options of millions. At an open session on November 6, 2017, and on behalf of the Medical Marijuana, Inc. family of companies, Raul spoke before the international officials about CBD’s benefits and its lack of psychoactivity. He urged the special committee to lift CBD’s internationally regulated status by considering it non-psychoactive and classifying it a nutritional supplement. During his presentation to the committee at the U.N., Raul spread CBD awareness by sharing the story of his daughter Grace, Raul and his family were the first to sue the Mexican government for the right to import CBD oil into Mexico. He also shared the experiences of other families with CBD, and presented the results of recent studies on children using CBD products in Mexico. Following this historic day, CBD could take one step further toward global acceptance. Changes the committee makes to CBD’s international drug scheduling would have ripple effects to its legal status around the world, and a loosening in international policy would mark a turning point in cannabis policy, increasing availability to consumers worldwide.